The American Revolution was led by many heroes. However, it’s a man of unusual caliber who is a leader among heroes. Patrick Henry was that type of man. He was the de facto leader of the Thirteen Colonies during the years leading up to and immediately following the Revolutionary War. 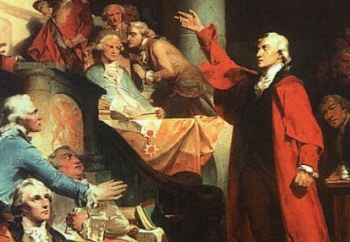 Often, readers of history will find different Founding Fathers asking what Patrick Henry’s views on a particular issue were before expressing their own. Henry was a man of stalwart character, keen insight, and fearless determination, and he was Providentially placed to lead the movement towards freedom. Today, it’s our turn. Our turn to guard our inheritance of freedom and keep the torch of freedom burning brightly. Our turn to follow in the wake of Henry and the other founders, to emulate their courage and sacrifice so we can, in turn, pass our inheritance on to our children. This blog is the musings of a concerned citizen and patriot, striving to follow “in Henry’s wake”. Howdy! 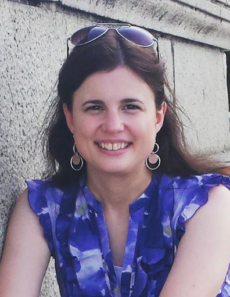 I’m a policy analyst/history buff/homeschool graduate. No, that’s not a recipe for trouble. Here’s how it all started. My interest in politics started with my parents’ concern over the state of our country. Part of their focus in homeschooling was patriotism, American history and the founding fathers, civics, and policy solutions based on Scriptural principles. They voted in every election, prayed that God would raise up godly candidates, and discussed current affairs and issues around the dinner table regularly. Naturally, I grew up pretty steeped in the concept of statesmanship. Eventually, we decided we wanted to be more involved than just voting, so we started off volunteering for the local GOP. The 2008 presidential campaign came next, and we all jumped enthusiastically on board the Mike Huckabee campaign. Also in 2008, we discovered Patriot Academy, a one-week mock legislative session promoted and sponsored by Wallbuilders. 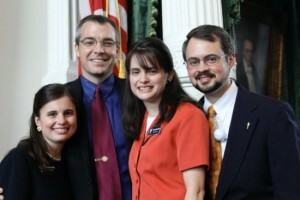 Since 2008, I’ve had the privilege of attending every year, joined by my siblings recently. Patriot Academy has had an immense impact on all of us, intensifying our desire to make a difference. Hurrah for the Tea Party! Well, you know how the presidential race of 2008 turned out. The Obama presidency turned the bad dream of Bush policies into a nightmare for America. This was the final straw for a lot of fed-up Americans, and the Tea Party was born. We were sitting around the dinner table one day when all this was unfolding, and discussing how someone had said that someone should organize a Tea Party in our own town of Anderson. Someone said “Well, let’s do it ourselves!” We all agreed enthusiastically, not having any idea what we were getting ourselves into. I’ll never look down on community organizers again! To make a long story short, we ended up organizing two Tea Party protests, and the movement morphed into a Tea Party Group. We were also able to attend the 2009 March on Washington. By this time we were very involved in local and state politics. Sometimes I wonder what it would be like to have a life outside of politics, and after a while there’s a tendency to get burned out, especially if you’re not seeing many results. However, the price of freedom is eternal vigilance, as one wise man put it, and to whom much is given, much shall be required. Founding fathers such as Patrick Henry sacrificed so much to build a free country for us. We owe it to them, to God, to our country, and to our future children to do everything we can to preserve that freedom and pass it on to the next generation. In light of that, we don’t do nearly enough. So that’s my background. 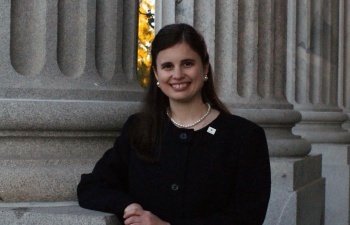 I currently work for the SC Policy Council as a research assistant. During spare time I enjoy reading, writing, spending time with my family, needlework, and watching Agents of S.H.I.E.L.D. 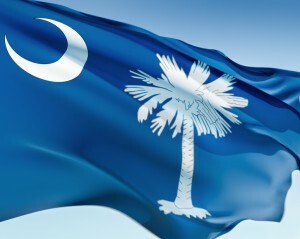 Oh, and for the record: South Carolina is the greatest state in the Union. Period.